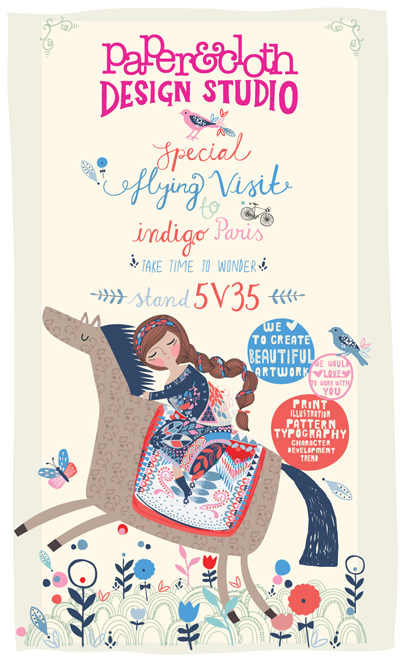 it must be a great time to be in paris this week as also running from 12-14 feb is the indigo show where paper & cloth will be amongst the exhibitors. the uk based studio will be showing new designs available for use on spring/summer 2014 products and collections. see them on stand 5v35. Oh Wow - I'm awestruck. I LOVE everything about this but the colours are just beautiful! I bet the whole collection is amazing.